If you’re considering leaving a fake review on an online shopping site, here’s a new reason to think twice: It could get you thrown in prison. In Italy, at least. Needham-based TripAdvisor on Wednesday said a user in Italy was sentenced to nine months behind bars after being accused of selling fake reviews to hospitality businesses there. 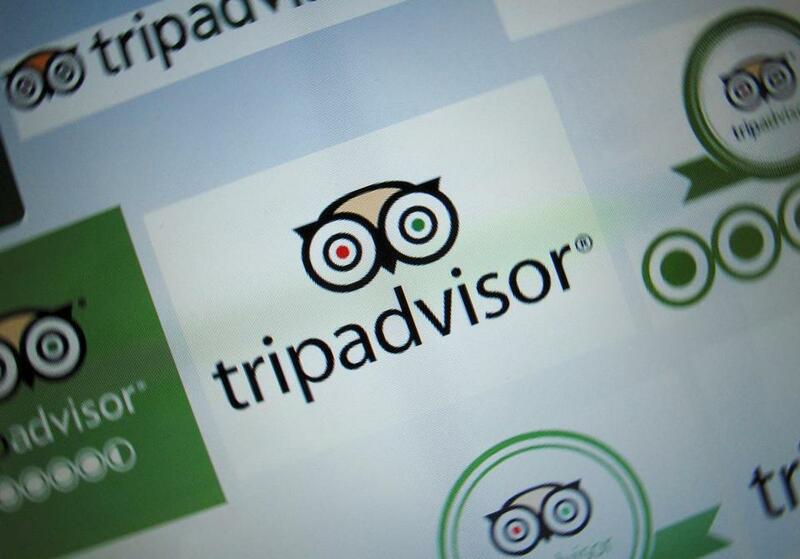 Brad Young, TripAdvisor’s associate general counsel, said the company can block users and penalize businesses that post fraudulent reviews, but the company is increasingly pushing law enforcement to take legal action against people who misuse its site. “By working together with the prosecutors in Italy, we have shown those trying to offer paid reviews that they have some skin in the game . . . and there are repercussions coming for their real-world actions,” he said. Internet commerce sites have long struggled with the bane of paid reviews, which erode the trust of users who rely on their fellow customers to help them decide what to buy, whom to hire, and where to travel. A Washington Post examination this year, for example, found that a majority of Amazon reviews in popular categories such as Bluetooth speakers appear to violate the company’s prohibition on paid reviews. TripAdvisor said it has found and stopped more than 60 companies that post fake reviews since 2015. In this case, the company said, its fraud detection programs blocked or removed more than 1,000 reviews posted by the owner of a company called PromoSalento. The review covered hundreds of lodging and dining businesses. The company said it worked with postal police in Italy to uncover the scheme. PromoSalento’s owner now faces jail time and a penalty of about 8,000 euros in costs and damages. PromoSalento officials could not be reached to comment. Paid reviewers in the United States are not likely to face prison time, according to attorneys who follow legal issues surrounding online reviews. She said much of the legal action involves restaurants, hotels, and other establishments suing people who post negative reviews that the proprietors believe are misleading. Nonetheless, there are federal laws against making paid endorsements without disclosing financial ties. Violations can result in civil penalties such as fines. TripAdvisor said it intends to work closely with federal officials to crack down on organized efforts to offer positive reviews in exchange for cash. The Federal Trade Commission has been particularly interested recently in social media “influencers,” who can wield their large digital followings to secure perks like complementary hotel stays. The agency says those freebies should be disclosed under the law. Tommy Noonan, founder of ReviewMeta.com, which helps Internet users spot fake reviews, said reviewers who accept payments are just part of the problem. Another problematic class of reviewers, he said, are those who have a murkier relationship with a product they’re reviewing. TripAdvisor said it did not let the hospitality sites in the PromoSalento case off the hook. It downgraded the rankings of some and hit others with “red badges” alerting users that the businesses were caught trying to manipulate reviews. The PromoSalento case also underscores the difficult job that TripAdvisor faces in policing its site. The company had been investigated by Italian authorities for not doing enough to remove fake reviews. But the company has also gotten into trouble for what it does remove. Last fall, an investigation by the Milwaukee Journal Sentinel found that TripAdvisor had removed reviews that included reports of rapes and assaults after determining them to be inappropriate or off topic. Dan Donahue, president of the Saunders Hotel Group, which includes The Lenox in Boston, said hospitality businesses should focus on offering good service over the long haul rather than trying to game review websites.